Nepram is the founder of the Manipur Women Gun Survivors Network which has helped more than 20,000 female survivors of gun violence rebuild their lives and strive for justice. New Delhi: Reach All Women in War (RAW in WAR), a human’s rights organisation, has decided to honour Binalakshmi Nepram and Svetlana Alexievich with the prestigious 2018 Anna Politkovskaya Award for their bravery in speaking out against injustice, violence and extremism, especially for their role in their respective conflict-ridden and yet ‘forgotten’ domicile regions of Manipur and Belarus. RAW in War annually gives out the award to mark the anniversary of Anna Politkovskaya’s murder on October 7, 2006. 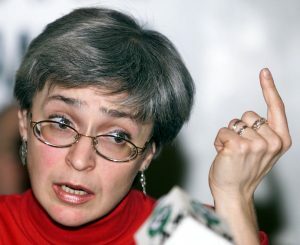 Politkovskaya was a Russian journalist, writer and human rights activist. She extensively reported on Russia’s volatile political developments, particularly, the second Chechen war (1999-2005). Her fearless work put her in the Russian military’s line of fire. She was arrested by the military forces in Chechnya and subjected to a mock execution. Politkovskaya was assassinated in the elevator of her block of flats on October 7, 2006. The award dedicated to the journalist is a mark of recognition for all the women globally battling injustice. Most significantly, the Anna Politkovskaya Award is given to celebrate women human rights defenders from conflict zones, who like Politkovskaya face life-threatening situations. 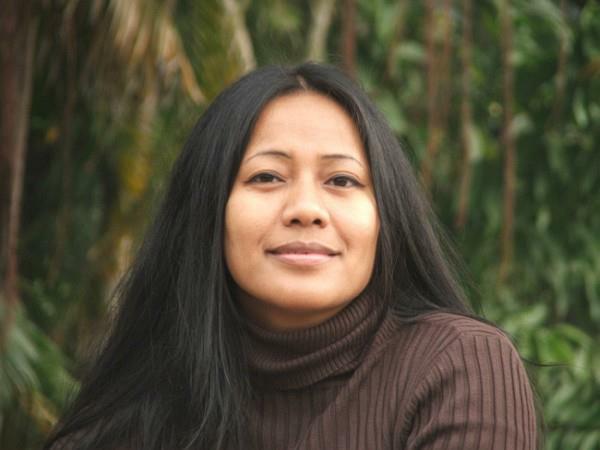 Binalakshmi Nepram is a writer from the Manipur. A human rights defender on the Indo-Myanmar border, she believes that returning to India would endanger her life. She fears that she could meet the same fate as Gauri Lankesh, a well-known journalist and co-winner of the 2017 Anna Politkovskaya Award. Last year Lankesh was gunned down in Bengaluru for speaking out against religious extremism and violence in India. In 2007, Nepram launched the Manipur Women Gun Survivors Network which helped more than 20,000 female survivors of gun violence rebuild their lives and strive for justice. 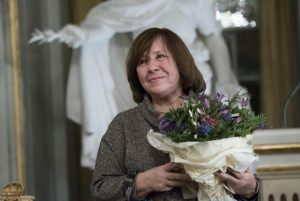 In 2015, Svetlana Alexievich received the Nobel Prize in Literature for her body of work primarily centred around oral histories of victims of wars and catastrophes. Alexievich has been relentlessly exposing the injustices in post-Soviet Union Russia and other regions facing the threat of Russian aggression. Alexievich has repeatedly criticised the Russian annexation of Crimea as well as Ukraine’s growing nationalism, which has rendered her vulnerable to threats from both Russian and Ukrainian nationalists. The organisation has also called upon the government of India to put an end to the persecution, killings and intimidation of women human rights defenders and asked for an impartial investigation into Gauri Lankesh’s murder. The organisation has also urged the government of Myanmar to end the killings of Muslims and the sexual violence against women in the Rakhine State. The awards will be presented to the winners in March 2019 in London at RAW in WAR’s ‘Refusing to be Silenced’ event, which is part of the 2019 Women of the World Festival at the London’s Southbank Centre.